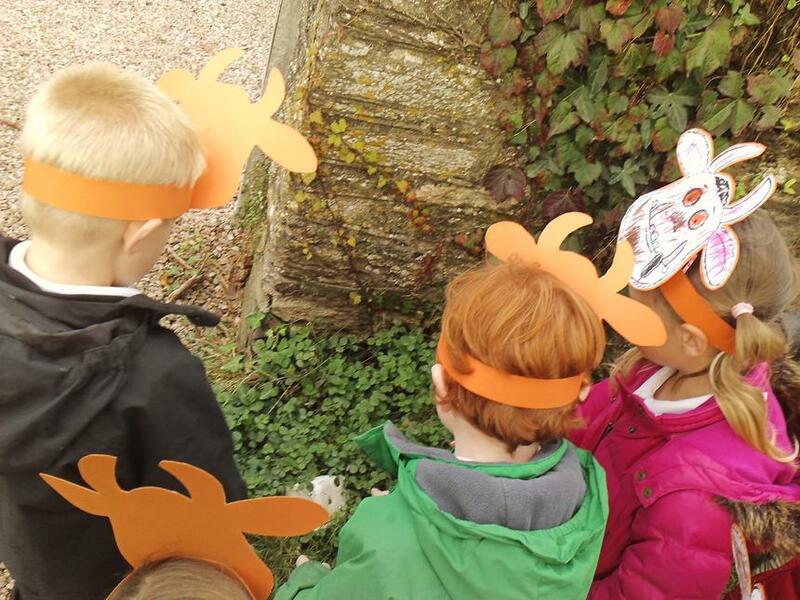 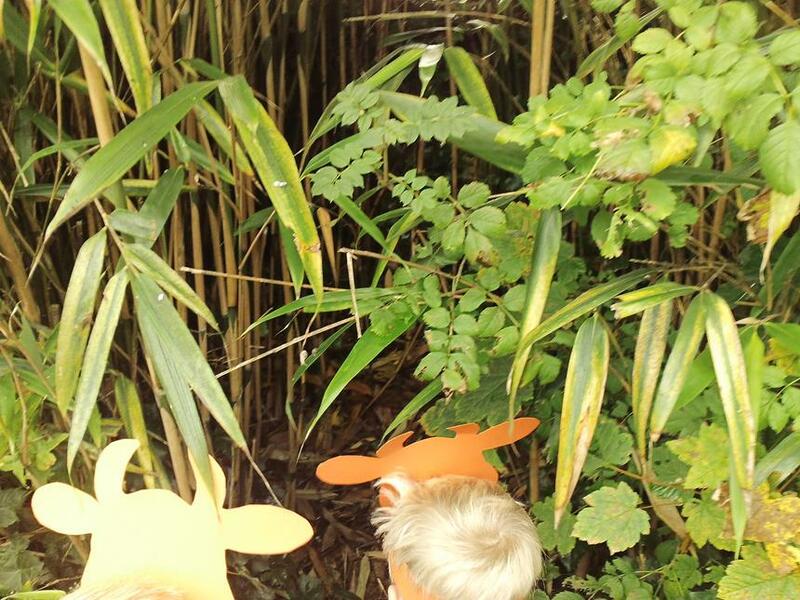 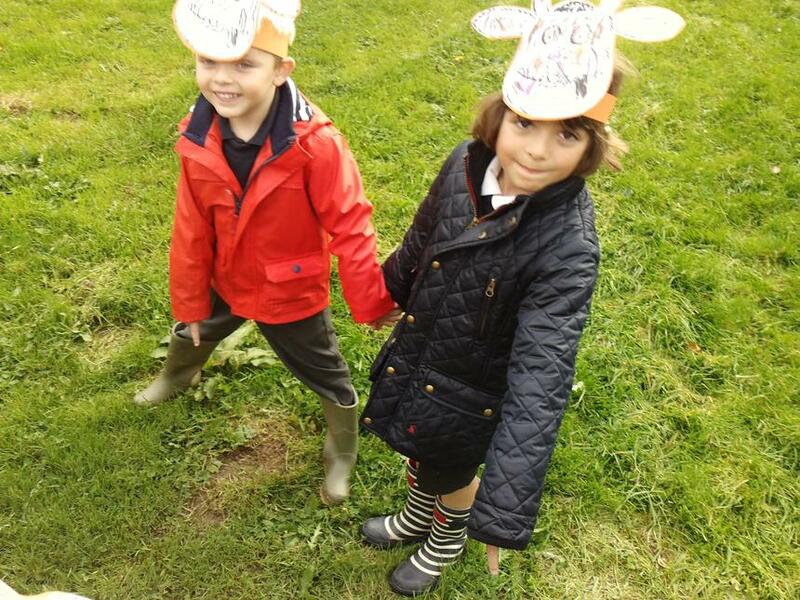 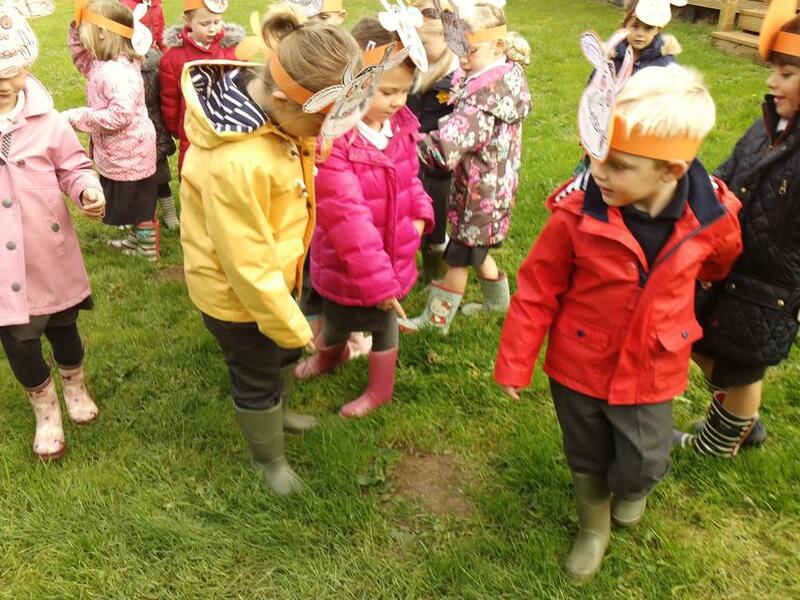 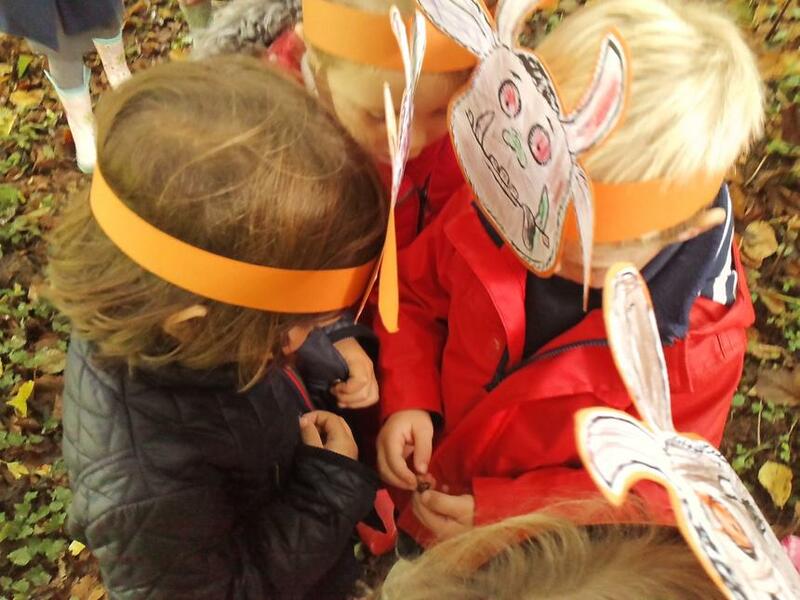 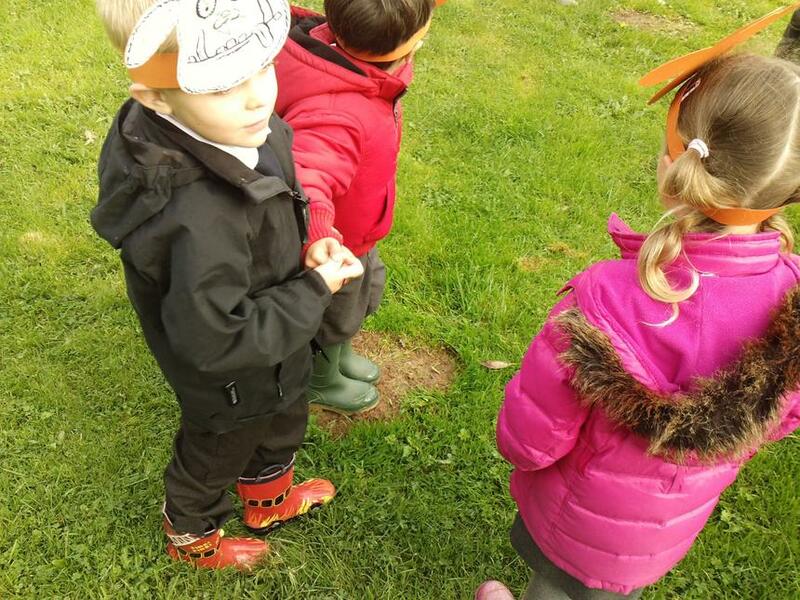 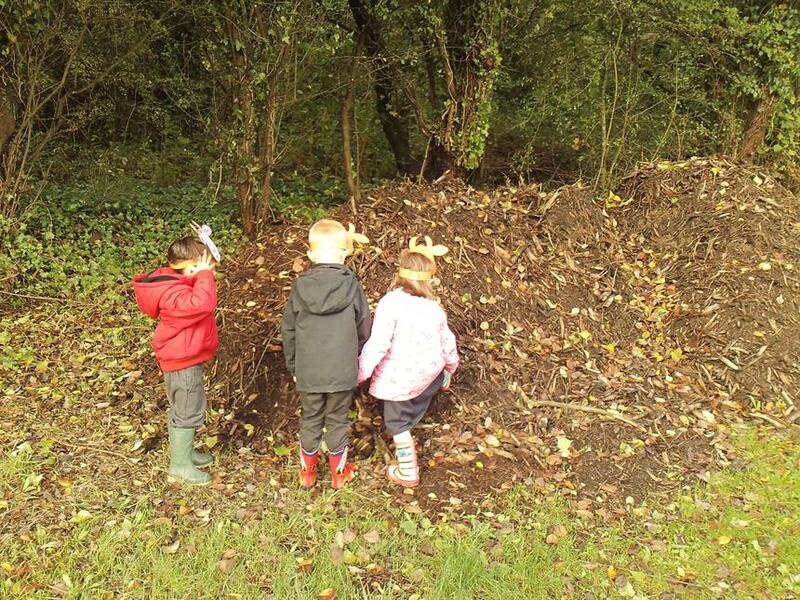 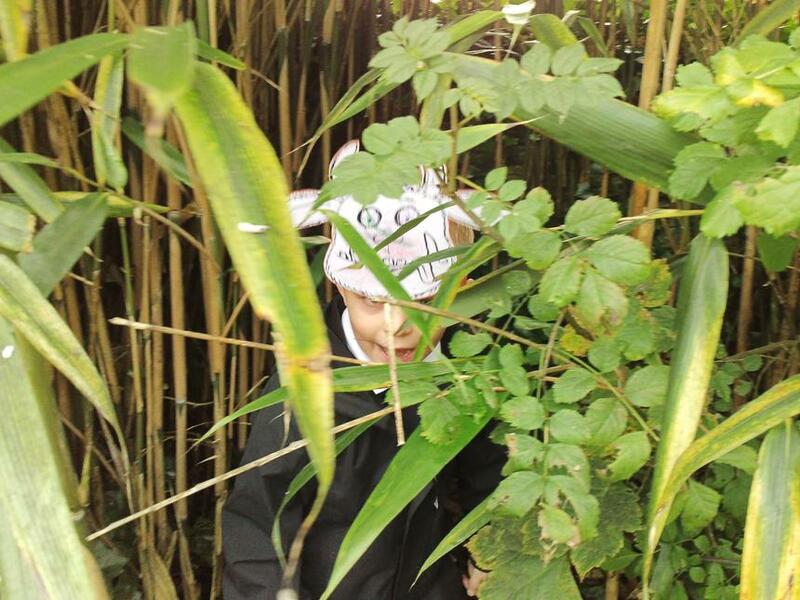 Kingfishers have taken a "stroll through the deep dark wood" to see if they could find 'The Gruffalo". 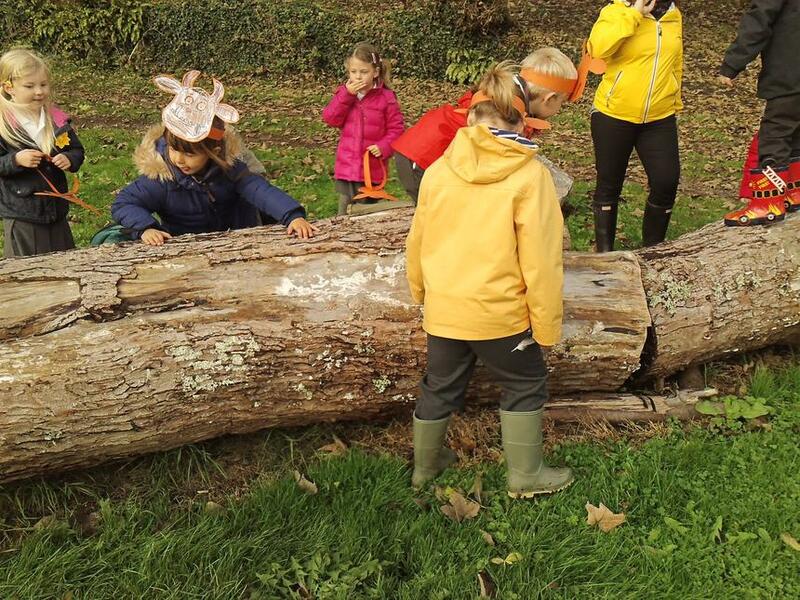 Along the way they thought that they spotted the "brown mouse" and that perhaps they heard "the owl" as they walked alongside the "log pile". 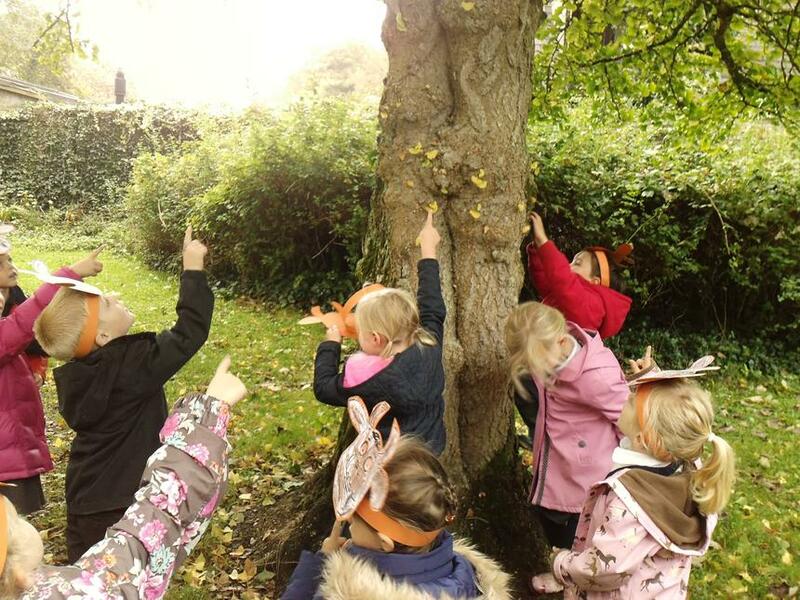 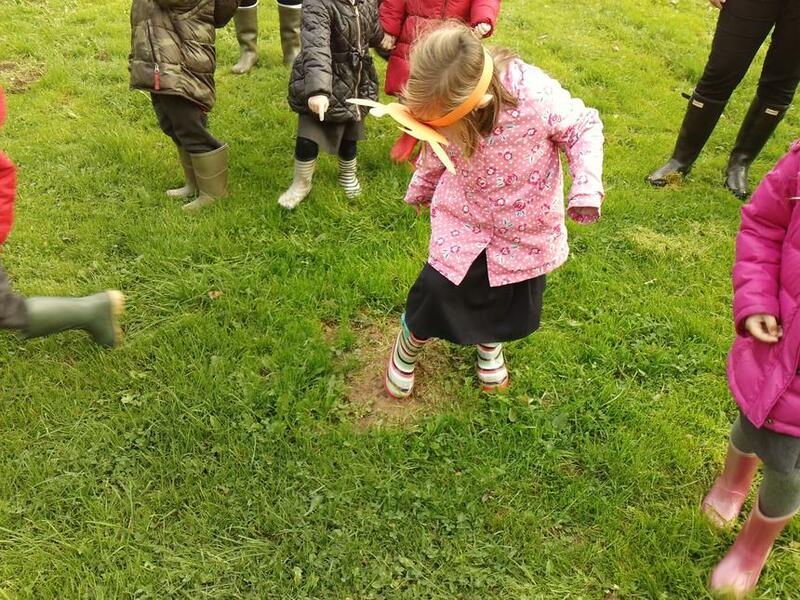 They were even lucky enough to come across some of the "purple prickles" which had evidently fallen off from the "Gruffalo's" back whilst he was dancing on the village green and to find some of the "nuts" which the "mouse" had obviously dropped whilst eating his lunch in the "deep dark wood"! 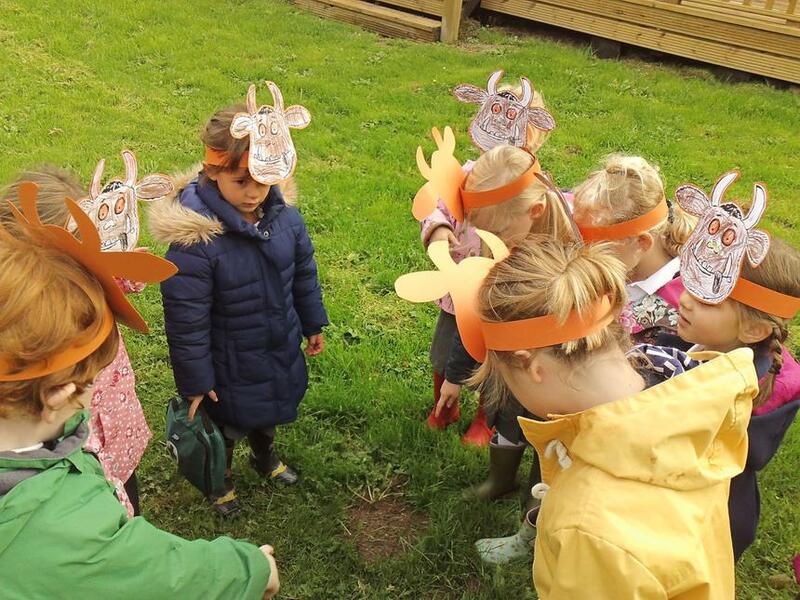 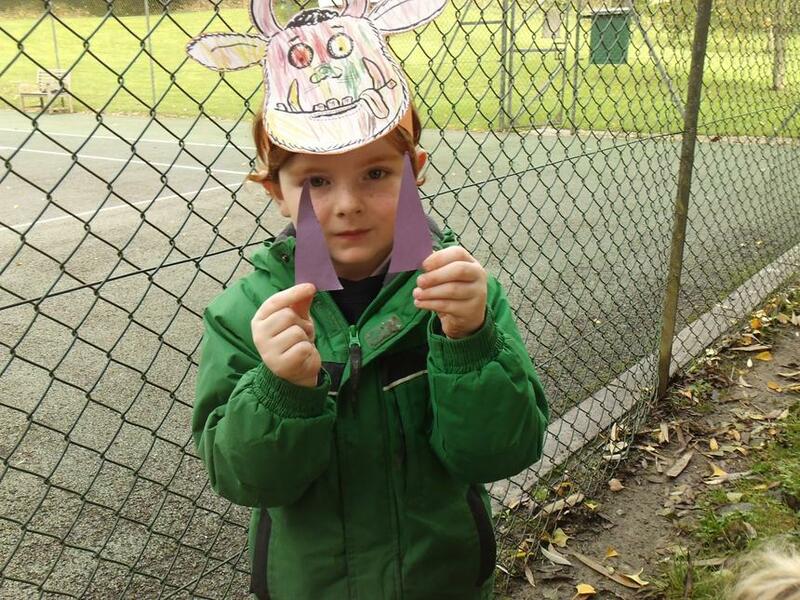 This week Kingfishers and Miss Round Smith have been reading the book "The Gruffalo". 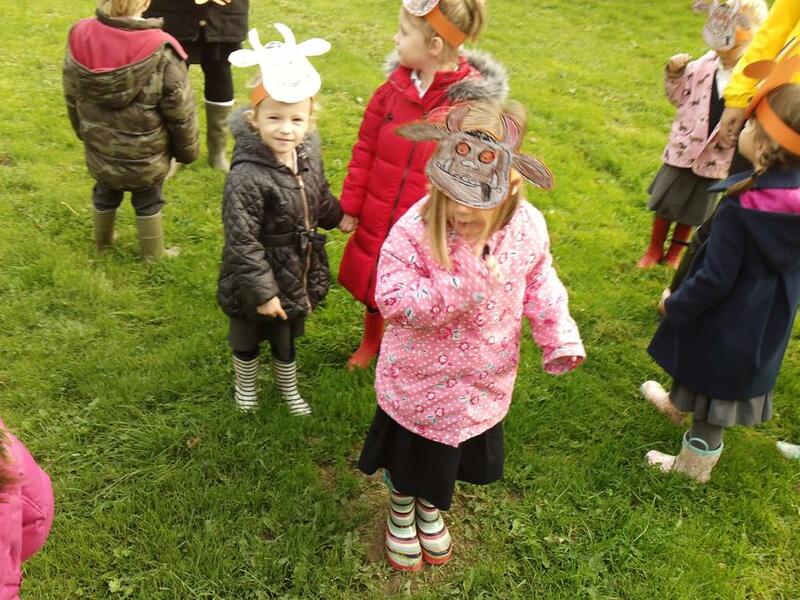 The children have all had a wonderful time making masks, painting pictures and reading about this wonderful fictional character.